1) Energy-saving: Big power LED source is adopted, saving energy 80% than the incandescent light. 2) Environmental protection: No hazardous substances such as mercury and lead etc. No environmental pollution, infrared ray and ultraviolet ray, and avoid the injury to human body. It is the green lighting. 4)The lamp’s panel and heat-sink device fixed as a whole unit so that the product is more solid and reliable and ensure the long lifespan. 5) Input voltage is AC100-277V, making more convenient for the installation and usage. 6) Using the DC constant current to drive, no flicker. 7) Reflector: milky color PMMA. 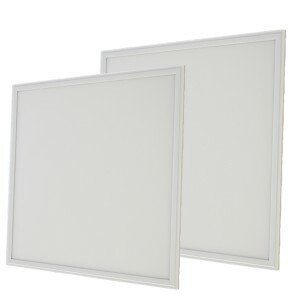 9) Direct light with good lighting directivity, and higher luminous efficiency than traditional lighting. 10) The main body employs aluminum material (AL6063) which has the good thermal conductivity to squeeze to be a special cooling fin. The LED contact surface adopts red copper with coat to conduct heat. 11）Control type: 1-10V dimming device has two independent circuits, a common voltage circuit for switching on or off to the illumination device power, another is low voltage circuit, it provides references voltage, told lighting dimming equipment level. 1-10V is adjusted optical power supply in use dimming the life of the light source cannot be produced any effect. And stable light source, no stroboscopic, dimming can achieve energy-saving maximization.